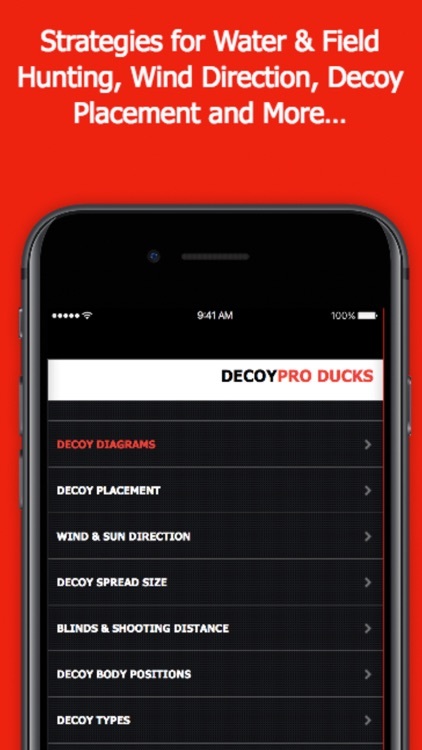 Duck Hunting Spreads & Diagrams - Duck Hunting App by GuideHunting L. L. C.
Ready for duck hunting success? 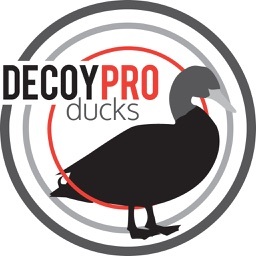 DecoyPro ducks provides easy to understand duck hunting decoy setup diagrams and duck hunting tactics. These field proven and simple to understand duck decoy setup diagrams make duck hunting simple, even for those who have little or no duck hunting experience. What will you learn? 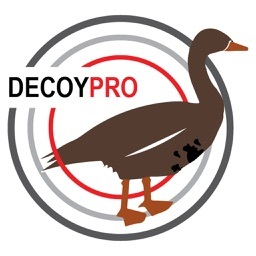 DecoyPro helps you understand decoy types, wind direction, decoy spread size, decoy placement and blind concealment. You will even learn how to bag ducks without a blind. 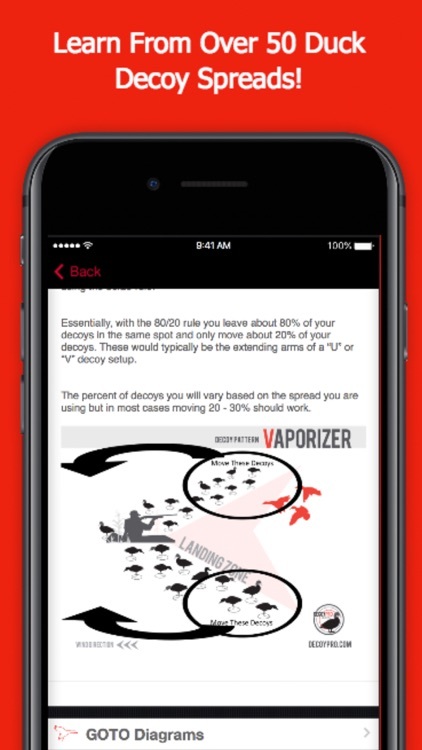 Use the proven diagrams in this app along with your duck calls to bring in flocks of ducks to your duck decoy spread. So what are you waiting for? 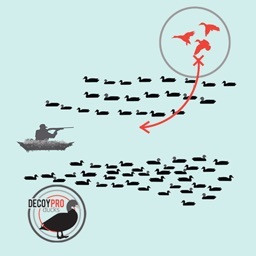 Get DecoyPro Duck Hunting Diagrams today and learn how to bag more ducks. 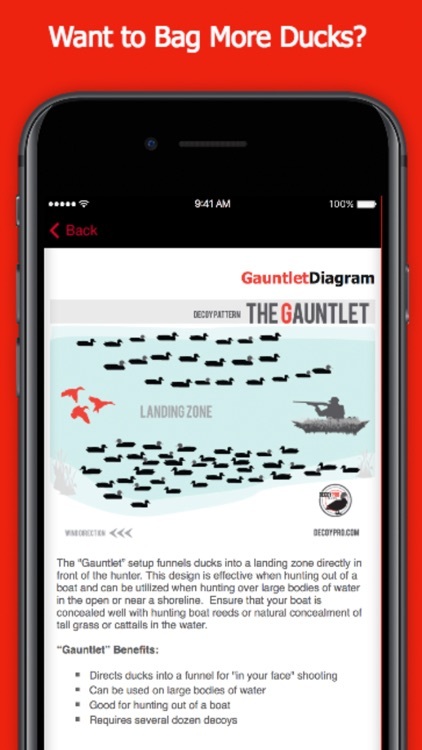 - View simple to understand duck hunting diagrams right from your phone. 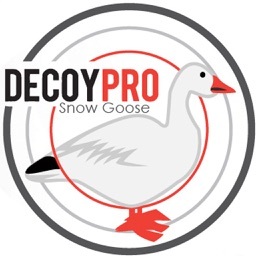 - “Cheap Decoys the Smart Way” is a free download when you signup for our newsletter. 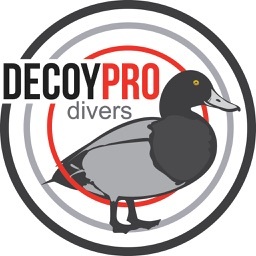 This valuable guide helps you with tips on how to buy decoys without emptying your wallet. 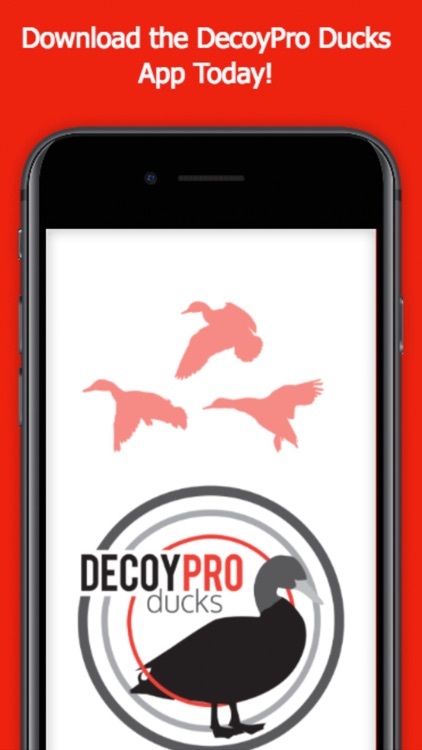 Download DecoyPro and start having duck hunting success today!